TiFlex :: Intramedullary Nails :: Products :: Adler Mediequip Pvt. Ltd. The simple yet precise pediatric elastic nailing solution has a number of salient features. 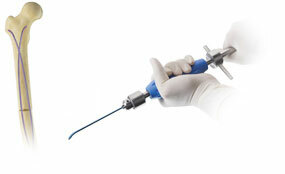 - Curved taper tip geometry for easy insertion and fracture reduction. - Medical grade Titanium Alloy with closely controlled specifications, for the right elasticity. - The Unique nail design allows the nail to bounce off walls of the Intramedullary Canal. - All Nails (6 diameters) are 440 mm in length to allow intra-operative freedom and flexibility in deciding the nail length. - Extremely simple and minimalistic instrumentation makes the surgeon feel even more at peace.